I go through cameras, always on the search for the perfect camera, and while everytime I get a new camera I think "this is it, I've found it!" and it has not been, I feel more confident than ever that I have found the best yet. It is an all black (only available in Japan) version of the Fuji GF670. 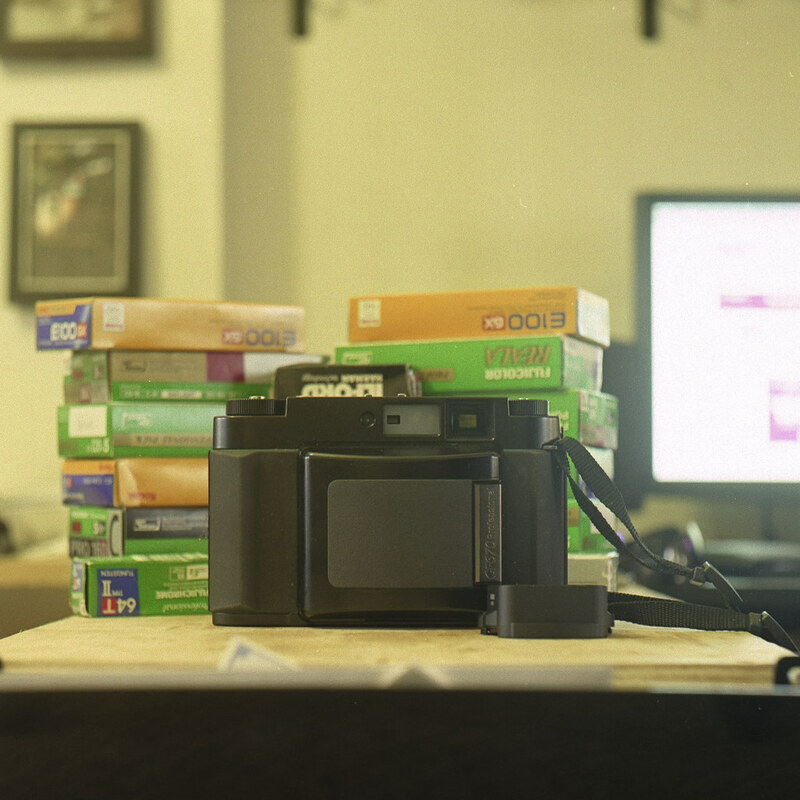 The Fuji GF670 is a medium format folding rangefinder. It shoots in 6x6 or 6x7 and it shoots 120 or 220 film. It is a fairly new camera, being introduced in 2008, which is well into the time that digital cameras had "taken over" if you want to call it that. I'd like to believe that Fuji realizes that there is no competing with medium format, so they might as well continue to produce professional grade medium format cameras, and as I've just purchased one, I hope this is true. This camera is a folder, and while not "compact" it is small, and when folded, it will fit in my pocket. As much as I travel, this was a big draw for me. I had been looking at older folders, like the original Mamiya 6, or the Super Ikonta, but they either do not shoot 6x6, or are not reliable in their old age. This is my most expensive camera purchase to date, but I think it is worth it. It is almost everything I want in a camera, at least, everything that one camera could have. I love shooting square format, I find the photos look better, composition feels right to me. I shot with a Mamiya 7 for a while, and it was a great camera, but I did not like shooting 6x7 too much. I felt it was a waste at only 10 shots per roll. Having the option to shoot 6x7 is great though. Fuji really nailed it with giving the shooter the option of switching. The format cannot be changed once you've started a roll, as the switch is on the back. The frame lines change from 6x6 to 6x7 when you change it on the back. The framelines are also paralax corrected. The camera also shoots the almost obselete 220 film in addition to the 120 film. 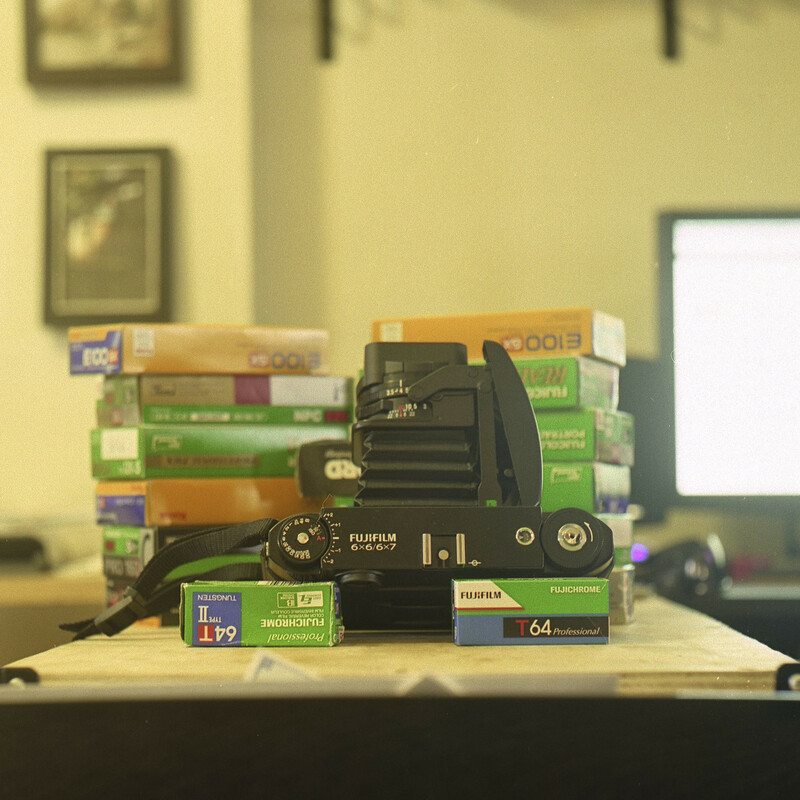 Luckily I have found quite a few deals on 220 on ebay, which makes shooting a large roll of film just as cheap. 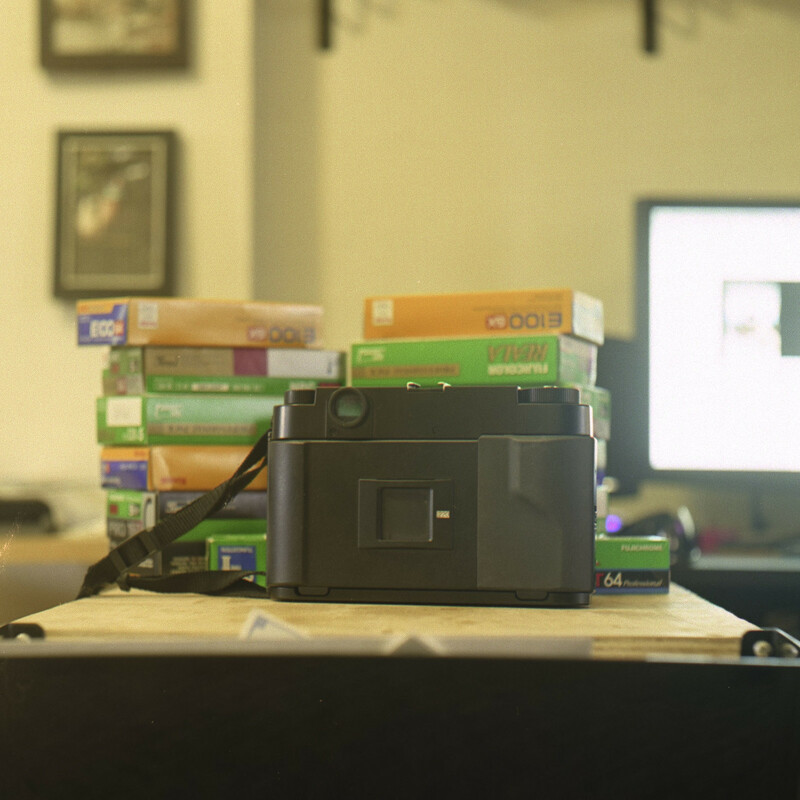 For those who are not aware, 220 film is twice the size of 120, but without the paper backing. This film is still available from Kodak, but, for some reason it is more than twice the price of 120. The camera has a EBC Fujinon 80mm F3.5 with a coupled rangefinder. This might be the sharpest lens I have ever used. The shutter is also the quietest I have ever used, to the point that sometimes I'm not sure if I have tripped the shutter. It is an electronically controlled shutter with speed from 4 seconds to 1/500th, and it is syncable at all speeds. The aperture ring is right in front of the focus ring, which can be seen through the viewfinder. F3.5-F22, with half clicks as well. This camera is aperture priority or manual exposure, with ISO ranges from 25-3200, but can be set to overexpose or underexpose up two stops. The viewfinder and rangefinder patch are super bright, it is visible in the night, which is conducive to my shooting style. The camera has a few small problems, but nothing crazy. You have to remove any filters you have on before closing, and the focus has to be set to infinity. There is no self trimer, and the film advance is a knob, not a lever, but those complaints are minimal. Japan Camera Hunter, who is a great resource in the photography world, and I'd highly suggest using him for any camera need.